Más información Powered by HS PTO transmission. Complete with 2 extension chutes, 350 litre water tank and wash-down hoses. 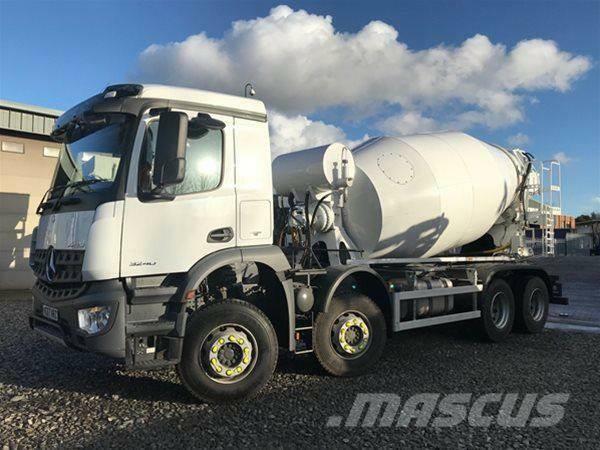 Mounted on year 2018 '68 plate Mercedes M-Cab (new/lower cab) model Arocs 3240, 8x4, 32-ton gvw cab/chassis fitted with 400bhp Mercedes engine, auto transmission, Euro 6, air conditioning, alarm, white noise reversing alarm, reversing camera, front beacon bar and rear strobes, painted white with full manufacturer warranties.